Though his confidence certainly improved with time, when Moses first began interacting with the Lord, he had nothing but questions and objections. 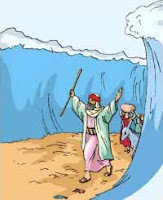 Moses was, in the truest sense, a reluctant leader. He did not want to accept God's call to be the catalyst to his people's salvation. But he did it anyway. He ignored the concerns and frustrations and spoke to the Israelites. He set aside his questions and objections and presented God's case to Pharaoh. And Moses triumphed...after a while. But not before countless difficulties. After the Israelites blamed Moses for making their slavery worse. 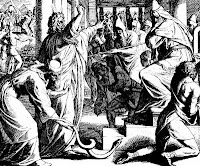 After ten plagues, several of which affected not only the Egyptians, but the Hebrews as well. After being chased from behind by Pharoah's army. Yes, they were finally delivered, crossing the Red Sea and watching their masters drown. I would have been reluctant too. And this, of course, is only part of Moses' story. There's more frustration to come. But here's the thing. Moses was 100% right smack in the middle of God's will. Don't let reluctance, hard times, or frustrations stop you from doing what God asks you to do. They aren't necessarily a sign you're on the wrong path. Heavenly Father, help me to know what exactly You want me to do. I know that sometimes You put obstacles in my path or doubts in my mind to direct me elsewhere, but it isn't always that way. I want to be in Your will, no matter how difficult it might be for me. Help me to be like Moses in that way. In Jesus' name I pray, Amen. Do you allow circumstances to help you decide if you are in God's will or not? How can you really know? meet your fiscal problems within a desired particular time period. with these loans. There is minimal paper function needed on the portion of borrower.